Reach for the perfect, hand-held, easy-to-use, and portable food sealer solution! - Our handy 6” bag sealer effortlessly gets your bags closed and airtight, for years of storage. Whether you need to seal mylar, coated aluminum foil, cellophane, Kraft paper, or even thick poly… Our hand-held sealer gives you total control. Teflon-coated, serrated jaws ensure reliability, while the ease of use makes it perfect for anybody! 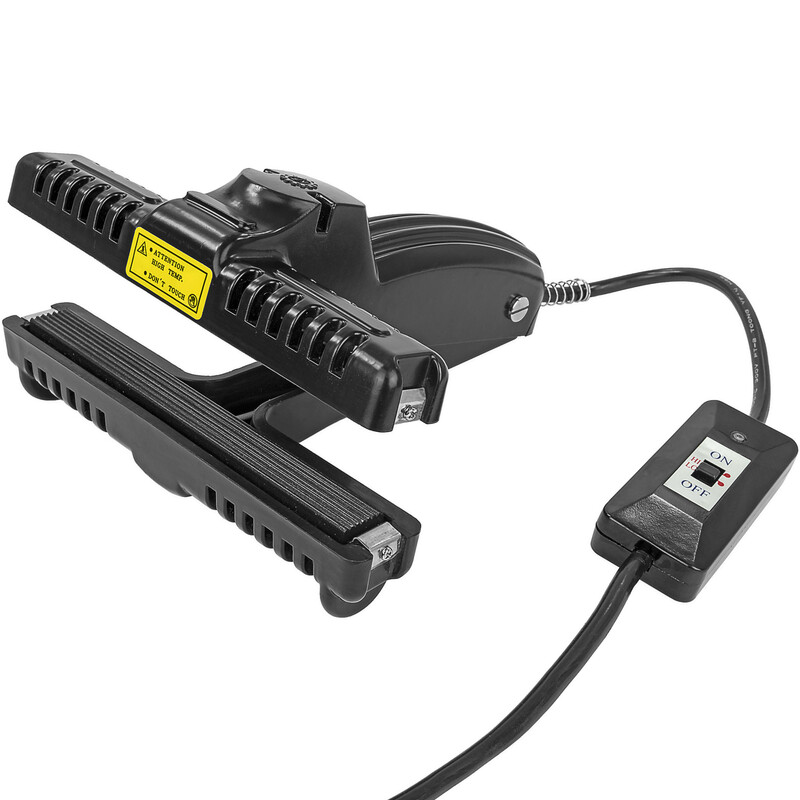 Grab yours today, and own a bag sealer that gets the job done, on your terms, in your location! Seal and Store your goods for ultimate protection and longevity! Our hand held, durable, and portable food storage bag sealer is the perfect way to make sure you’ve sealed in the freshness, and kept the elements out! Great for Mylar, Coated Aluminum Foil, Cellophane Craft Bags, Plastics, and even Thick poly. You get a lasting seal from the Teflon-coated jaws, and you get it where and when you need it! Forget about stationary units that don’t move with you, a portable sealer allows you freedom of movement and ease of operation that you can’t get anywhere else! With a six inch seal bar, this unit comes ready to handle most bags in a snap. - Just place the bag you need to seal (also loaded with desiccant packets or Oxygen absorbers) in the jaws of the sealer, crimp it shut for a few moments, and BOOM! You’ve got a great seal that eliminates the air and keeps everything dry for the ages! Grab Yours Today! Be ready for anything, and get your long-term storage in order. We’ve made it easier and more portable than ever! You’re welcome! Runs off of standard 110V electricity. Has both Hi and Lo modes, Hi mode is best for thicker and Aluminized bags while Lo is better for thin poly or nylon bags. Seal bar measures 6" in length and 0.59" in width.